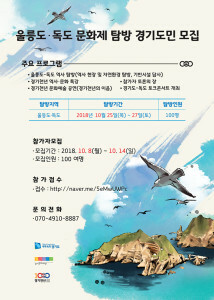 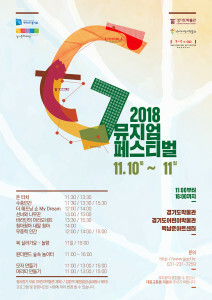 From November 10 to November 11, the festival will be held at G Museum Park (Gyeonggi Museum, Gyeonggi Children's Museum, Baeknam Jun Art Center). 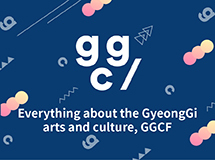 The ‘2018 Gyeonggi Living Culture Platform Festival’ will be held in a total of 18 areas in 17 cities/ counties of Gyeonggi Province. 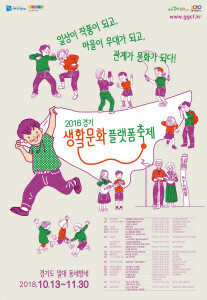 Gyeonggi Millennium Youth Festa 2018 is being held at Gyeonggi Sangsang Campus. 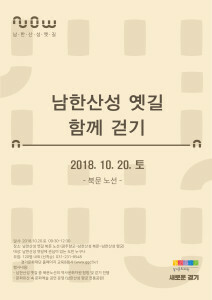 Hiking along the olden-day walk in Namhansanseong Fortress is October 20, 2018, at Gwangju Hyanggyo (126-24 Daeseong-ro, Hanam-si).